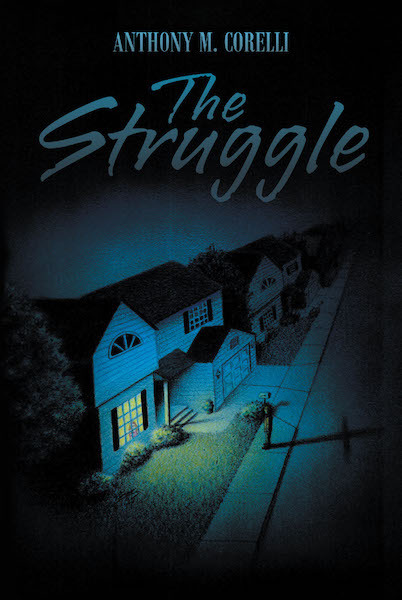 A suburban South Denver family has recently moved to a beautiful neighborhood only to find that their lives have begun to fall apart. Strange knocking and other unexplained events began to happen almost immediately. After Jonathan Stout is asked to leave, his wife, Pamela, is forced to deal with the increasing activity on her own. Minor issues become terrifying occurrences that the family can no longer ignore. The three Stout children each have their own encounters, prompting Pamela to reach out for the help of an out-of-box pastor at a local church. Little Tony Corelli has been wrestling with demons since he was a young child. His earliest memories are of the spirits that haunted his childhood home. As a teenager, he is visited by a messenger of God who sets him on the path of fighting demons on behalf of the oppressed. At age seventeen, he comes face-to-face with the familiar spirits that were tormenting his family. Now, Pastor Anthony Corelli is an established exorcist who is often called upon to help those who are under demonic attack. Although he is frequently at odds with his superiors, he refuses to turn his back on those in need. In spite of his years of experience, nothing could have prepared him for the demonic forces tormenting the Stout family. His bravery does not take away from the fact that he is in over his head. A missing girl, an unsolved murder, and an angry detective all stand in the way of Pastor Anthony's efforts to free the Stouts from the most ancient of evils. Fortunately, his love for Christ and emotionally hurting people keeps him fighting for this helpless family. The ancient spirits are deceptive, as the determined exorcist seeks to expel them once and for all. Many twists and turns will have you continuously second-guessing your theories and theology. The ending will not only shock you, but it will also haunt your nightmares. Even though the demon appears to have the upper hand, the love of God shines through in this tale that will force you to solidify what you believe about the demonic. When all is said and done, those involved will never be the same. Skeptics have become believers, survivors have become wiser, and unbreakable bonds have been formed. Perhaps the most important result of this spiritual battle is the fact that a new team has formed. A team that is ready to live in The Struggle.